I first came across ‘Wildfox Couture Clothing’ almost 2 years ago on one of my many shopping trips to Loehmann’s. I bought a Wildfox t-shirt with an American flag and eagle on it. The t-shirt was super soft with edgy details and a brilliant feminine silhouette – it was perfection! Wildfox quickly became the brand I would hunt down each time I shopped at Loehmann’s. 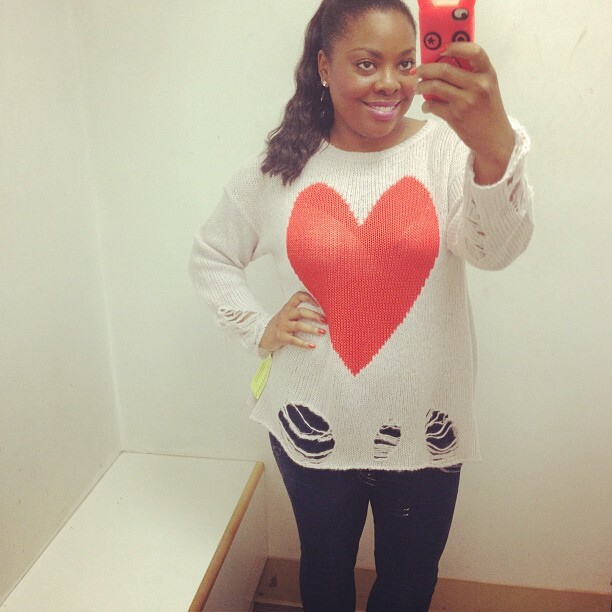 I love this heart sweater! I had a bit of a rough week and when I saw this sweater it cheered me up. The BIG red heart makes me think of love and thinking of love makes me grateful for life!